Click the Research dropdown to view the vehicle model specs and comparisons. INFINITI cars stand out on the market for their luxurious features and high performance. The sleek design of the INFINITI models makes them attractive to sports car-enthusiasts and drivers who like to hug turns on the road. 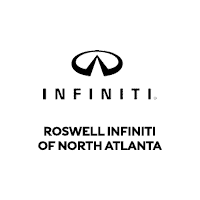 When you’re looking to make a new car purchase, there are a few facts to understand about the INFINITI car brand when making your selection. The INFINITI Q50 is one of the most popular models from the car brand due to its attractive styling and fuel-efficiency. The midsize car seats five people and has three different engines available. The luxury sports sedan includes 269 pound-feet of torque and 328 horsepower with all-wheel drive optional. Drivers can take advantage of a keyless entry system, eight-way power front seats, and smartphone app integration. As a sporty hatchback, the INFINITI QX30 stands out for its first-class comfort and a handsome cabin that includes high-end materials. It’s perfect for drivers who are looking for luxury at an affordable price. The ride is smooth, and it includes excellent fuel economy, making it ideal for commuters. The turbo engine will allow you to have plenty of fun on the road without feeling limited by the size of the vehicle. The INFINITI QX80 is a full-size luxury vehicle for those who are carpooling kids around throughout the day. It comes with an extra-large cargo area for sporting equipment or groceries, along with an easy-to-use infotainment system. It also comes with strong performance and responds quickly to commands while driving, making it easy to accelerate quickly without having delays due to the weight of the vehicle. INFINITI installs standard safety equipment in all of their vehicles with features that include front seat-mounted side airbags, intelligent cruise control, LATCH systems, energy absorbing steering columns, blind spot warnings, and distance control. The interior of the cabin is sleek with buttons and controls that are within easy reach of the driver’s seat, making it easy to keep your eyes on the road. As one of the most competitive luxury car brands on the market, INFINITI features the top amenities that are available in top models. Many new INFINITI purchases include a personal assistant that can be accessed via text, phone, or email. The personal assistant is composed of a team of employees that can book your flights, check your itinerary, and order food for carry-out at local establishments. Most INFINITI models also include heated leather seats and Japanese-inspired Kacchu Aluminum trim. The vehicles include forward emergency braking and active lane control to reduce the risk of an accident and allow you to remain confident while operating the car.